Home | Byrne-Johnson Roofing Inc.
We are GAF Master Elite Certified. This distinction is only given to 4% of roofers nationwide. Review HD shingle styles and warranty information here. "They are very professional, reasonably priced, arrived and completed the project as scheduled, and cleaned up after themselves. They even threw in putting shingles on the wooden playhouse we have in the backyard for free :) Roof looks great! Highly recommended." - Tiffany S.
"Great job! Bid was fair and communication was awesome. Bob Byrne, the owner, was great at returning phone calls and answering any questions I had as a first time roof purchaser.Everyone was professional, courteous, and hard working. Bob, the owner, came on site with a permit and to answer any questions or concerns. Clean up was amazing, which was important to me with small kids and a dog. I couldn't find any garbage or nails, and I checked! The roof looks great! I would recommend Byrne-Johnson to anyone." - Lisa J. Welcome to Byrne-Johnson Roofing, Inc. Online! PLEASE FILL OUT THE FORM BELOW AND A REPRESENTATIVE WILL CALL YOU WITHIN 24 HOURS! 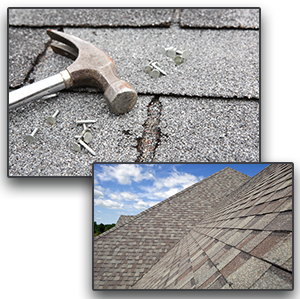 Thank you for contacting Byrne-Johnson Roofing Inc., a representative will contact you shortly.